73 years ago today an atomic bomb was dropped on Hiroshima, Japan. Those who experienced it and lived to tell about it, all described it in similar fashion: It began with a flash brighter than the sun. It was August 6, 1945. It was also the Feast of the Transfiguration. The atomic bombing of Hiroshima was the world’s first use of a weapon of mass destruction. In the seaport city of 250,000 people, 100,000 were either killed instantly or doomed to die within a few hours. Another 100,000 were injured. Of this city’s 150 doctors, 65 were killed and most of the surviving doctors were injured. Of the 1,780 nurses, 1,654 were either dead or too badly injured to work. 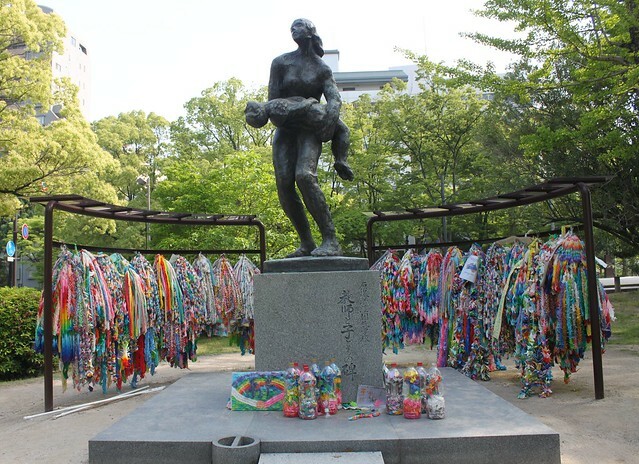 Hiroshima had become the house of the dead and dying. It was Transfiguration Day. When Jesus was transfigured on Mount Tabor his face shone like the sun, and when he came down the mountain a little boy was healed — a boy who had been thrown into fire and water by a demon. 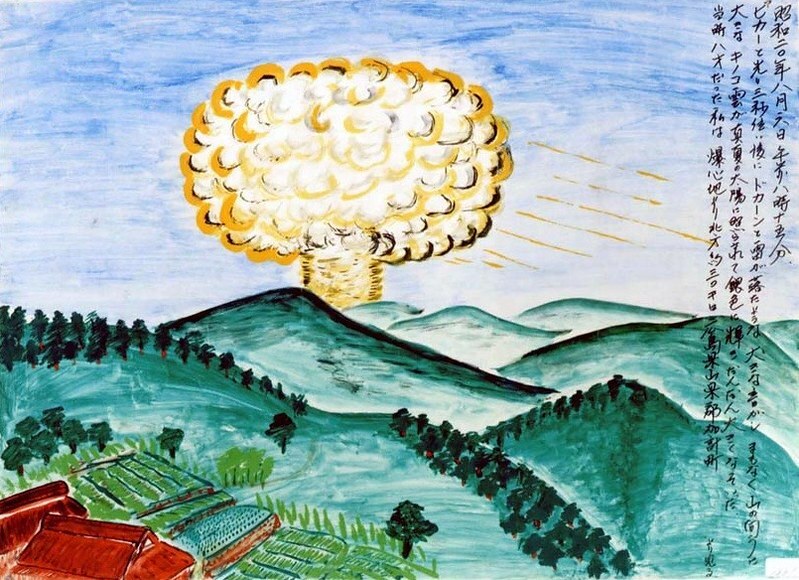 When “Little Boy” (the name given the bomb) shone like the sun over Hiroshima, a demon was let loose and thousands of little boys and girls were burned in atomic fire and poisoned by radioactive rain. The bombing of Hiroshima is the anti-Transfiguration. The Transfiguration was a turning point in Jesus’ ministry. Hiroshima was a turning point in human history. When I was thirteen I read John Hersey’s Hiroshima — a 30,000 word essay originally published in The New Yorker magazine. In May of 1946 The New Yorker sent Hersey, a Pulitzer Prize winning journalist, to Hiroshima to find out what had really happened. Hersey tells the story of the Hiroshima bombing through the eyes of six survivors. A Catholic priest, a Methodist pastor, a Red Cross doctor, a private practice doctor, an office girl, and a tailor’s widow. Originally Hersey’s essay was to be published in monthly installments. But on August 31, 1946 the entire issue of The New Yorker consisted solely of the Hiroshima essay. It sold out in two hours. Albert Einstein ordered a thousand copies. A few months later it was published as a book. John Hersey’s reporting was instrumental in changing the way Americans viewed the bombings of Hiroshima and Nagasaki. When I read Hiroshima in 1972 I knew I was reading of an unspeakable evil. I knew that Auschwitz and Hiroshima were to be spoken of in the same breath. How could I not know this? I read of people with charred skin and eyes melted in their sockets. I read of fires burning with such fury that they created windstorms. I read of black radioactive rain and how those who in desperation drank it doomed themselves to an agonizing death. I read of hell on earth — for there is no other way to describe it. Dante could not have dreamt greater horrors. At thirteen I knew there was no justification for inflicting this kind of suffering and death upon anyone…much less upon hundreds of thousands of civilian men, women, and children. Yes, I knew this. But by the time I was thirty I had learned how to justify the unjustifiable. I was now a pastor. A preacher. A zealous Christian. A spiritual leader. And I had learned how to justify inflicting hell on other humans in the name of war. They were the enemy and the bomb was pragmatic. Sadly, my thirteen-year-old moral instincts were more Christlike than my thirty-year-old callous nationalism. Though I knew the Bible far better at thirty than thirteen, this had not prevented a moral regression. I knew how to use the Bible to silence my thirteen-year-old instincts and endorse my thirty-year-old rationalization. But “using” the Bible like that is a trick we play on ourselves. If we know how to do it just right, we can make the Bible endorse anything…even Hiroshima. Eventually, though, in my forties, I began to encounter Jesus all over again. I discovered the “unvarnished Jesus” and gained new eyes. I was born again…again. The Bible had not changed, but I had changed. I was beginning to read the Bible in a new way. Ironically, it was closer to the way I read the Bible when I was teenager. I now knew again what I had once known long ago — that dropping atomic bombs on cities is incompatible with loving your enemy! I now knew that no matter how you spin it, the Jesus of the Gospels would never bless the bombings of Hiroshima and Nagasaki. Never! The face shining brighter than the sun that saves the world is not “Little Boy” over Hiroshima or “Fat Man” over Nagasaki, but the Son of Man shining over Tabor. When Jesus was transfigured, God spoke from heaven and said, “This is my beloved Son in whom I am well pleased; listen to him!” Jesus is what God has to say. But Jesus is what God has to say. Do good to those who hate you. Pray for those who hurt you. Then your reward from heaven will be very great. You will be acting like children of the Most High. For he is kind to the ungrateful and the evil. Hiroshima Day and Transfiguration Day. They are the same day. I have repented for ever justifying the Anti-Transfiguration. I have returned to listening to the truly Transfigured Christ. Jesus is what God has to say.